Don’t miss out on this limited time offer with a reduced purchase requirement for selected models! Hurry! Offer expires May 27, 2019. Buy 6, Get 1 Free. 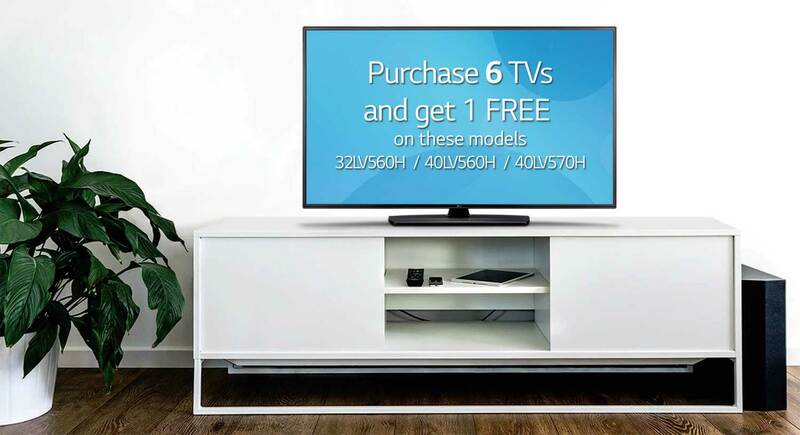 You will receive FREE TVs of the same model, for every 6 qualifying TVs you purchase. The more you buy, the more free TVs you receive. There is no limit as to how many free units you can receive. Promotion Dates: April 1st to May 27th, 2019. Orders must be received by May 17th, 2019 and ship by May 31st, 2019.